We are Cincinnati’s fastest growing in-home pet sitting and dog walking company. Our bonded and insured, professional pet care providers offer services such as pet sitting, daily dog walking, pet taxi, cat visits, overnight stays, and more! 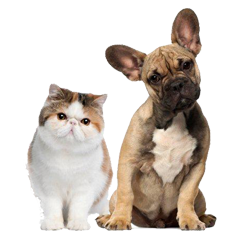 We care for dogs, cats, rabbits, birds, hamsters, ferrets, guinea pigs, fish, turtles? will be there. We understand your pets are part of the family; they’ll be part of ours too! Individualized attention, a stable routine, quality care, and comfort at home are all ways your pet can benefit from in-home pet care. Boarding kennels and doggy day care can be a stressful place for a pet. With in-home pet sitting services, you can rest assured your pets are safe, happy and healthy 24/7. Please take a look at our Services page for more details.